From private universities to public education buildings, Recover transforms low-use roof sites into dynamic green spaces. 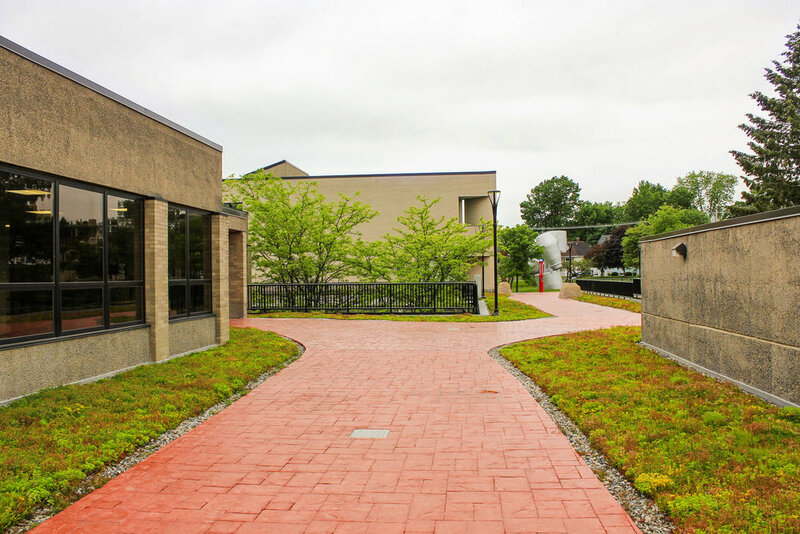 The Northeast's first-of-its-kind "comprehensive" green roof system by Omni creates a new kind of roof meadow ecosystem on Harvard Business School’s McArthur and McCollum Halls. LiveRoof trays in a grid system add to the energy efficiency and stormwater retention of this building, helping to earn its 2015 LEED Gold distinction. A 12,000-square-foot native meadow roof garden blurs the lines between the natural and built environment on the Center for Agriculture and Natural Resources. Green roofs absorb airborne particles and carbon dioxide while releasing oxygen, effectively filtering and cleaning our atmosphere. That's a breath of fresh air!